In today's hectic environment there is little time to appreciate the beauty of the countryside and the slower pace of yesteryear. 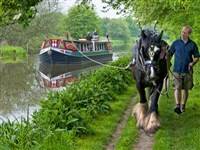 The Kennet Horse Boat Company's horsedrawn canal cruises offer an opportunity to do just that. Environmentally friendly and quite unique with very few left in the UK, this traditionally painted canal boat is keeping some of our nineteenth-century English heritage alive. Set in Berkshire's beautiful countryside on the Kennet & Avon Canal, the Horse Drawn Barge is based in the pretty village of Kintbury near Hungerford. The horses, heavy crossed-shires, Freddie and Monty are bedecked in traditional harness. 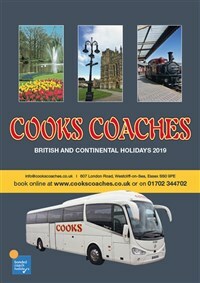 The boat is purpose built to the traditional style of canal boats in the 1800s and decorated in the bright colours of the roses and castles canal style. Enjoy a relaxing 2 hour cruise with sandwiches, tea and cake.